QANTAS Airways today (April 3) launched the first nonstop commercial flights to Uluru from both Adelaide and Darwin to meet growing demand from travelers to the Red Centre. The nonstop flights to Ayers Rock Airport will operate twice per week from both cities (on Wednesdays and Saturdays) with the airline’s Boeing 737-800 aircraft, offering almost 700 seats to the destination each week. Top Copyright Photo: QANTAS Airways Boeing 737-838 WL VH-VXB (msn 30101) (Yananyi Dreaming) SYD (John Adlard). Image: 921196. 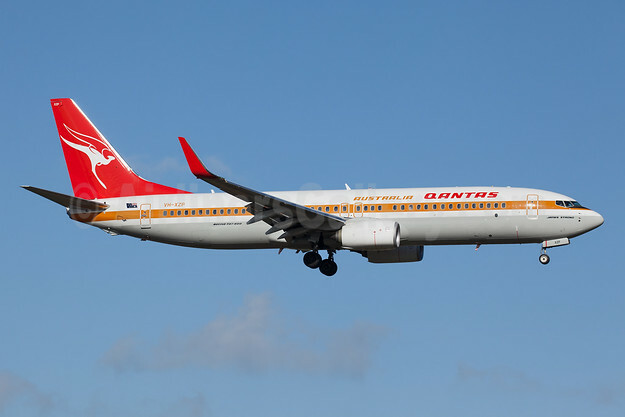 This entry was posted in QANTAS Airways and tagged Boeing 737-838 WL, msn 30101, QANTAS Airways, VH-VXB, Yananyi Dreaming on April 3, 2019 by Bruce Drum. QANTAS Airways will launch new seasonal flights direct from Melbourne to Queenstown to meet the growing number of Australians seeking winter holidays in New Zealand over the peak ski season*. Between June 21 and August 27, 2019, QANTAS will operate three services per week between Melbourne and Queenstown with a Boeing 737-800 aircraft, offering more than 10,000 seats on the route over the winter peak. These new flights are in addition to the QANTAS Group’s 33 existing Queenstown services available each week throughout winter, with QANTAS’ flights operating from Sydney and Brisbane and Jetstar’s flights from Sydney, Melbourne and Gold Coast. The flights – which will operate on Tuesdays, Fridays and Sundays – have been made possible by reducing Qantas’ Melbourne-Christchurch schedule to four services per week over the winter when demand is lower. * Subject to government and regulatory approval. Top Copyright Photo: QANTAS Airways Boeing 737-838 WL VH-VXK (msn 33481) BNE (Ton Jochems). Image: 945054. 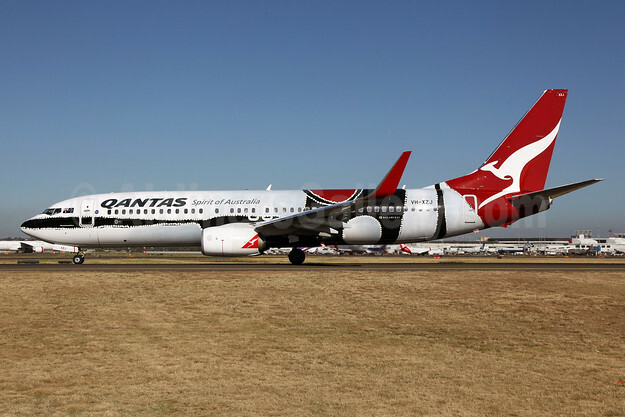 This entry was posted in QANTAS Airways and tagged Boeing 737-838 WL, msn 33481, QANTAS Airways, VH-VXK on February 28, 2019 by Bruce Drum. QANTAS Airways is making it easier for customers to holiday in Fiji by relaunching new nonstop flights from Sydney, meeting a growing demand from customers wanting a premium travel option to the islands*. From March 31, 2019, the direct service will operate four times per week to Nadi, the country’s main gateway, with a Boeing 737-800 aircraft, offering a checked baggage allowance, inflight entertainment and food and drinks all included as part of the fare, and the option to fly or upgrade to Business class. The flights add to Jetstar’s direct services which also operate four times per week and will see the QANTAS Group offer customers more than 75,000 seats on the route annually and the choice to fly to the popular holiday destination six days a week. QANTAS will also add its code to Jetstar’s flights between Sydney and Nadi, for travel from February 1, 2019. QANTAS will also continue to codeshare on Fiji Airways’ services to Nadi. Top Copyright Photo (all others by QANTAS): QANTAS Airways Boeing 737-838 WL VH-VZF (msn 33481) BNE (Ton Jochems). Image: 945055. This entry was posted in QANTAS Airways and tagged Boeing 737-838 WL, msn 33481, QANTAS Airways, VH-VZF on January 21, 2019 by Bruce Drum. Available for booking from June 5 for travel from July 20, 2018, Air France will add its code to QANTAS flights between Hong Kong and Sydney, Melbourne and Brisbane and between Singapore and Sydney, Melbourne, Brisbane and Perth. 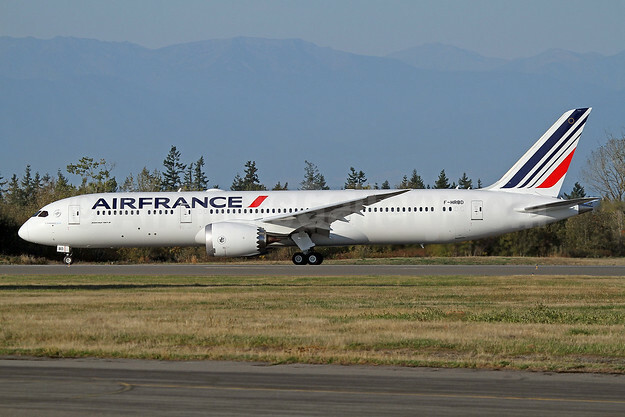 Air France customers will also be able to access codeshare services from Sydney to five cities on the Australian airline’s domestic network including Canberra, Hobart, Adelaide, Cairns and Darwin. Air France eligible customers(3) will also be able to access Qantas lounges in Hong Kong, Singaporeand Australia, as well as Qantas eligible customers to Air France lounges in Paris, Hong Kong and Singapore. Top Copyright Photo: QANTAS Australia (QANTAS Airways) Boeing 737-838 WL VH-XZP (msn 44577) “James Strong” SYD (John Adlard). Image: 940843. Bottom Copyright Photo: Air France Boeing 787-9 Dreamliner F-HRBD (msn 42487) PAE (Nick Dean). Image: 939729. This entry was posted in Air France, QANTAS Airways and tagged Air France, Boeing 737-838 WL, Boeing 787-9 Dreamliner, F-HRBD, msn 42487, msn 44577, QANTAS Airways, QANTAS Australia (QANTAS Airways), VH-XZP on May 23, 2018 by Bruce Drum. QANTAS Airways has announced it will begin a new daily Melbourne – Denpasar (Bali) service from June 23, 2018. Operated by a Boeing 737-800 aircraft, the new QANTAS route comes as Jetstar increases its Melbourne-Bali flights from ten per week to twice daily. This announcement complements QANTAS’ year round daily Sydney – Denpasar service and reflects strong demand from customers who want a full-service experience travelling to one of Australia’s most popular holiday destinations. 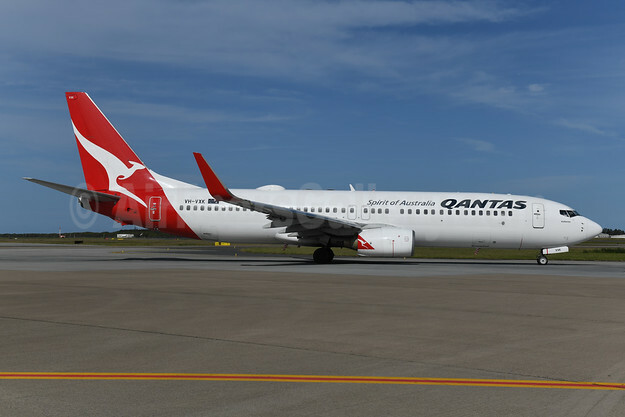 QANTAS’ Melbourne – Denpasar service will be operated by a two-class Boeing 737 aircraft, with a checked baggage allowance, inflight entertainment and food and drinks all included as part of the fare. Together with Jetstar the Qantas Group will now offer customers 84 return services to Bali from across Australia – the largest international airline group to operate into the island. Copyright Photo: QANTAS Australia (QANTAS Airways) Boeing 737-838 WL VH-XZP (msn 44577) “James Strong” SYD (John Adlard). Image: 940843. This entry was posted in QANTAS Airways and tagged Boeing 737-838 WL, James Strong, msn 44577, QANTAS Airways, QANTAS Australia (QANTAS Airways), VH-XZP on February 9, 2018 by Bruce Drum. 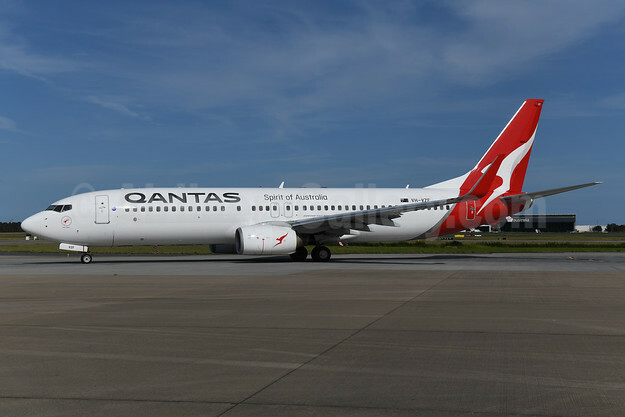 Customers travelling on QANTAS Domestic aircraft fitted with inflight Wi-Fi will have the opportunity to watch every live game of international cricket played in Australia this season. As part of the airline’s partnership with Cricket Australia, QANTAS will live stream 75 matches of professional cricket played in Australia including the Commonwealth Bank Women’s Ashes T20 matches, Magellan Men’s Ashes, the Gillette One Day Internationals and T20s, the KFC Big Bash League and Rebel WBBL. Following a successful customer trial earlier this year, the airline has so far installed next generation Wi-Fi hardware on *15 Boeing 737 aircraft as part of its progressive rollout. Focusing initially on its 737 fleet, QANTAS will begin installation on its domestic Airbus A330s from early next year, with 80 Boeing 737 and Airbus A330 aircraft complete by the end of 2018. The QANTAS system gives customers the ability to stream movies, TV shows, sport, music and news programs – including through content partnerships with Stan, Spotify and Netflix. In an extended deal, Netflix will offer new customers three months of access, while existing Netflix customers can apply the same three month offer to their account. Customers can also stay connected through email as well as social media, watch the latest YouTube clips or shop online. In addition to customer use, Wi-Fi provides QANTAS crew with real time information that will improve efficiency and the passenger experience. Pilots are able to access detailed live weather, which will help them steer clear of turbulence as well as making better use of tailwinds to reduce flying time. Cabin crew have more options to better manage customers’ onward journeys while still in the air. * subject to Government approvals and licensing arrangements. Copyright Photo: QANTAS Airways Boeing 737-838 WL VH-XZJ (msn 39365) (Mendoowoorrji) SYD (John Adlard). Image: 922009. 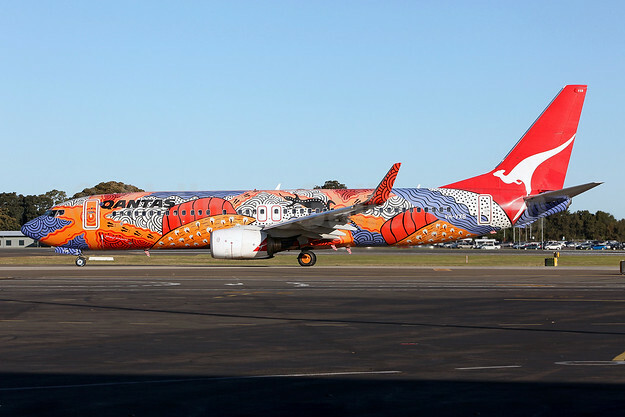 This entry was posted in QANTAS Airways and tagged Boeing 737-838 WL, Mendoowoorrji, msn 39365, QANTAS Airways, SYD, VH-XZJ on November 17, 2017 by Bruce Drum.